Lower Broughton looked like this in 1968- back then as you can see in the photo, North West Water or whatever they were called at the time, did some pretty major flood defence work and created what we now call the Anaconda Cut. Their only interest was in flood defence, and getting the water out of the Irwell system into the Ship Canal as quickly as possible - wildlife, and fishing just werent on the agenda in those days. 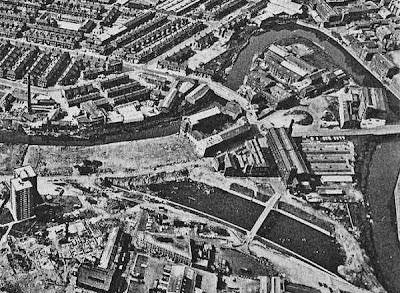 No one could imagine the Irwell as anything other than a conduit for the removal of waste. 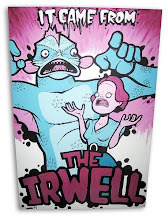 Fast forward to 2011, and the river in Lower Broughton is now the main spawning ground for the fish which live in the lower River Irwell and Manchester Ship Canal. The steep flood defences and 5ft high sheet metal pilings aren't aestheticly pleasing but Salford Friendly Anglers Society in partnership with Vertical Vilages (the local residents association), Salford Council and the Environment Agency are actively exploring the possibility of installing fishing pegs along this section of river. 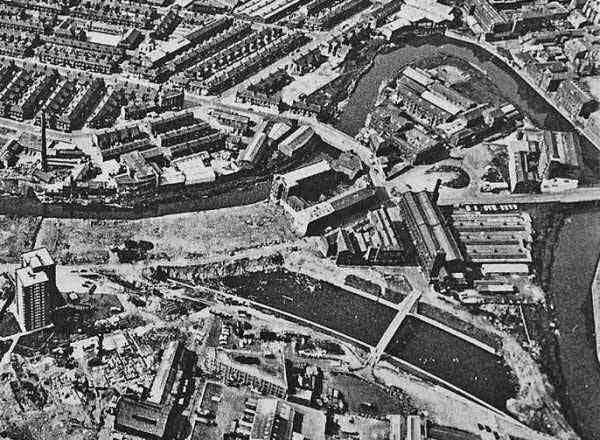 I bet the workmen and town planners from 1968 would be amazed at how the rivers changed since then. Wouldnt it be fantastic if we could get them to install some river side habitat as well.